Venezuelan President Nicolas Maduro today announced measures against the Federation of Chambers of Commerce and Production of Venezuela (FEDECAMARAS), which he accused of being behind an economic war, aiming to destabilize the country. 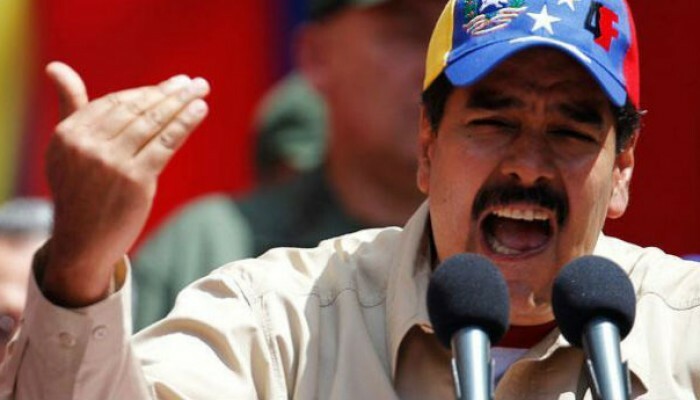 In a ceremony held in the state of Anzoategui (east), Maduro also accused the Fedecdmaras of causing misery, by provoking high inflation and commodity shortages. "FEDECAMARAS will not receive more government dollars, they must understand that the dollars are for housing, for the food for the people, for the productive economy, for entrepreneurs, who really want to work," said the president . Maduro further underlined that he is preparing to take "radical measures" against the private sector, which seeks to overthrow the government, and to "decisively liberate" the business sectors of opposition, whose destabilizing actions pursue political ends. “I tell these “bigwigs” (conservatives), who have over 5 billion dollars abroad, why don’t they bring this money back to invest here. They keep asking the state to for foreign currency to enrich themselves. But enough, those dollars are for the people, housing, transport, feeding”, stated the head of state. The Venezuelan president asked Miguel Perez Abad, presidential liaison with the business of the country, to send the message to Jorge Roig, president of the Fedecdmaras, saying that "their time has run out". "The time of outstretched hands and smiles has finished, because they are responsible for all sabotage and economic war. I am resolute, that (...) there is no third option, they will conform to the Constitution, the law and the people or they will conform" he said. Similarly the president invited all industrialists and entrepreneurs who are committed to advancing the country, to meet with the government in regional formats to "defeat the economic war." He repeated that the private sector has its guarantees in Venezuela, provided they comply with the legal framework, established by the relevant regulations and work to benefit the people. He also urged the community to stand together to promote the growth of the productive and popular economy, in order to find solutions to end the "constant perturbations" induced by the right more than a year ago, with goods shortages, high inflation rates and overpriced products. "We will make an economic revolution. There is no way back for Venezuela, we have no recoil, we will only advance forward. It is written in the history, we have the strength, the plan, the will and we will prevail. We have a specific destination: the economic victory of the people over oligarchy and Fedecdmaras" said Maduro.